I wish I had a pound for every time that I said their name and people went DEADLY????!!!!! No DEAD LEAF. 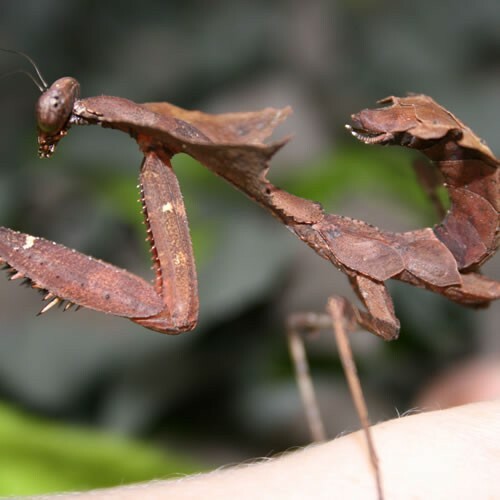 They are remarkable mantids and we use them to showcase the use of camouflage. This camouflage helps them get up close to their prey before striking out with those two front adapted legs. Don't worry,they can't hurt you unless you are an insect.